You may have seen some changes coming through from the Chinese Ministry of Finance. 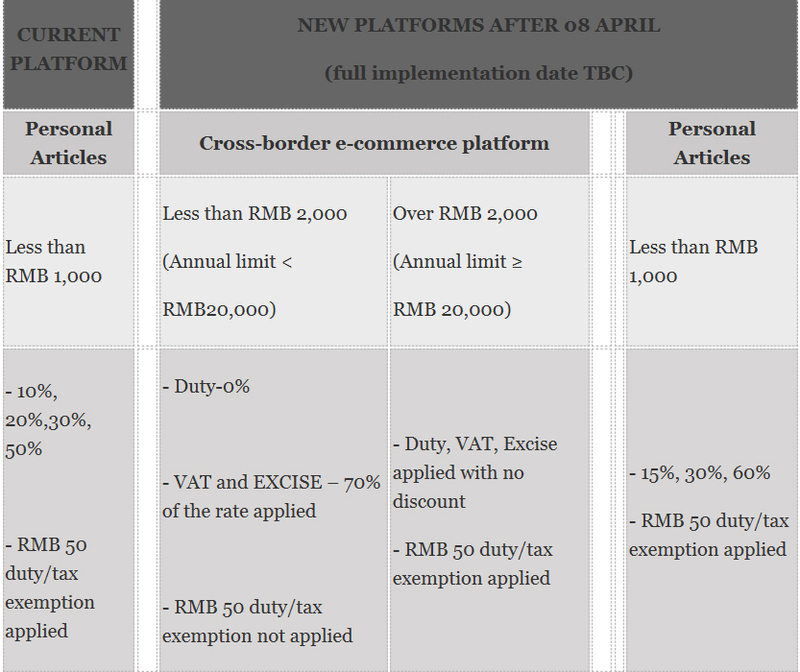 They have recently issued a new tax policy on the importation of cross-border e-commerce Business to Consumer (B2C) shipments into China. This policy came in to effect on 8th April 2016. Since the new policy came in, we have only seen one of the changes come into effect. So far the Chinese Ministry of Finance is currently focused on the introduction of the new duty rate and only in Guangzhou city. The situation is very fluid so DHL Express is working closely with the relevant Chinese authorities to keep across the changes as they happen. The following lists a summary of the four key changes the Chinese Ministry of Finance is implementing. The limit of a single B2C transaction will be lifted from RMB 1000 to RMB 2000 (USD306). Shipments below this limit, or below RMB 20,000 annually (imported via one personal identification number), will be exempted from Duty and pay only 70% of the Tax and Excise rate. Shipments which exceed these limits will attract full Duty, Tax and Excise. 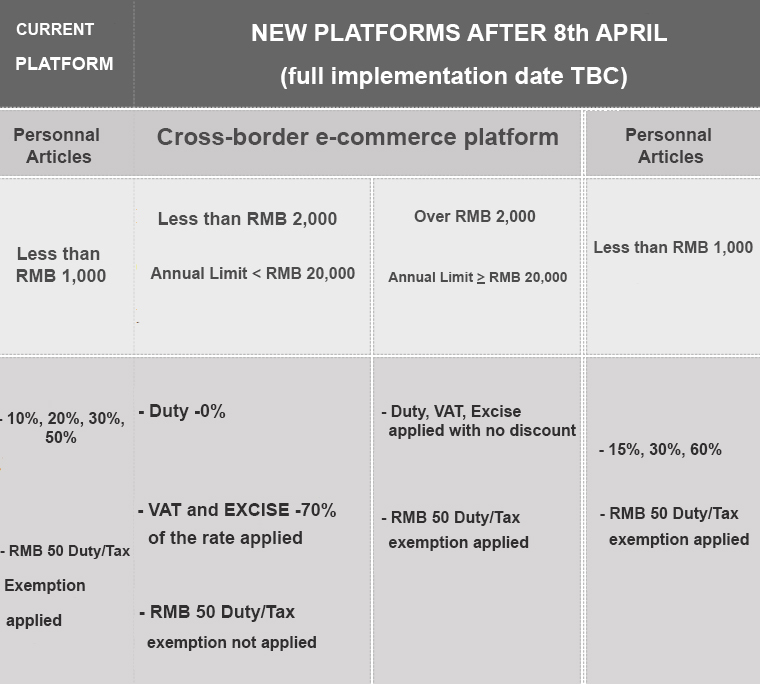 However, importers will only pay Duty and tax where the value of each charge levied exceeds 50 RMB for any one shipment. A B2C product catalogue (List of Imported Commodities of Retail Cross-border e-Commerce) will be developed by the Chinese Ministry of Commerce to ease administrative collection costs. As mentioned, DHL Express is working with the relevant authorities to keep across these changes as they happen. We will endeavour to keep our customers up-to-date as the remaining three changes (Value threshold, B2C product catalogue and Clearance platform) come into force. 2015 © DHL Express (New Zealand) Pty Ltd.